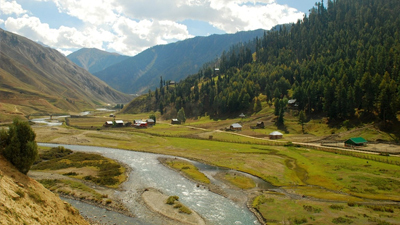 On arrival at Srinagar, meet our representative at the airport and let him help you transfer to the houseboat. Overnight stay in the houseboat. Today, we shall be driving towards Tulail via Gurais valley and Bandipora. Overnight stay. We shall begin our trekking today. With packing our load on the ponies, we shall start trekking through the pine forest and a stream to reach Jawdara. Overnight stay. Today, we shall continue trekking through the meadows to reach Duptapani. Overnight stay. Our trek today will be towards Gangabal. 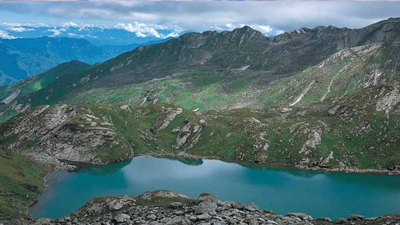 We shall pass through Satsar Lakes, the seven lakes that are interconnected with each other and will climb the Zajibal pass (4180m) to reach Gangabal Lake. Overnight stay. After exploring the beautiful twin lakes of Gangabal and Nundkol , we shall leave by the afternoon for Bodpathri meadow. Overnight stay. After the breakfast, we will leave Bodpathri and trek through the meadows of Trunkhol and Butsheri through dense pine forest to reach Naranag. From Naranag, we shall drive by car to Srinagar. Overnight stay in houseboat. Our representative will assist you to Srinagar airport. Incase of some spare time, we shall organize a trip around Srinagar.